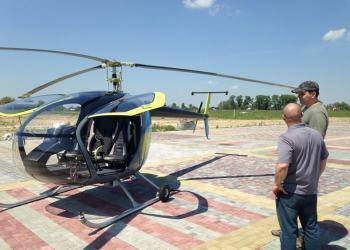 Scout, new experimental category helicopter or kit for sale. Lycoming IO-390 210hp, option with s/charger, liquid-cooled cylinders,220hp. Fuel 9 gph, endurance 3.2 hrs. Empty w. 1169lbs, max take off weight 1985 lbs, cruise speed 125 mph, max range 357 miles, auto-rotation 1280 fpm, hover in ground effect 13780 ft, Hover out of ground effect 12139 ft. We know from over 300 hours of test flights th......more.